The Asan Institute for Policy Studies hosted the Asan Special Forum in March 2018 in Washington, DC. Leading to articles in The Asan Forum, two featured panels on March 8 and 23 focused on China’s intervention into the internal affairs of four democratic countries: New Zealand, Canada, Australia, and South Korea. In a coordinated manner, they examined the various arenas of interference, the actual nature of the interference, and the ongoing responses to the interference. The March 23rd panel included an overview presentation, drawing on evidence of interference in the United States, and a comparative analysis of Russian and Chinese interference. Through this combination of studies, general conclusions were suggested about patterns of interference and how they compare to Russian interference. 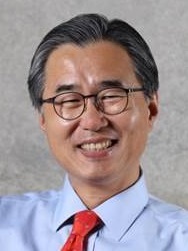 Choi Kang is the vice president for research and a principal fellow at the Asan Institute for Policy Studies. Dr. Choi is also serving as a member of the advisory council for the Office of National Security. Previously, he was the dean of Planning and Assessment at the Korean National Diplomatic Academy. In 2012, Dr. Choi served as the president at the Institute of Foreign Affairs and National Security (IFANS). He was also a professor and director general for American Studies at IFANS, a research fellow at the Korea Institute for Defense Analyses, and senior director for Policy Planning and Coordination on the National Security Council Secretariat. He holds several advisory board memberships including: the Committee on Foreign Affairs, Trade, and Unification of the National Assembly; Ministry of National Defense; Ministry of Unification; Air Force Development Committee; and the National Unification Advisory Council. Dr. Choi was also a South Korean delegate to the Four-Party Talks. He writes extensively on the ROK-US alliance, North Korean military affairs, inter-Korean relations, crisis management, and multilateral security cooperation. Dr. Choi received his B.A. from Kyunghee University, M.A. from the University of Wisconsin-Madison, and his Ph.D. in political science from Ohio State University. John Fitzgerald is Professor Emeritus in the Centre for Social Impact at Swinburne University of Technology in Melbourne and Immediate Past President of the Australian Academy of the Humanities based in Canberra. 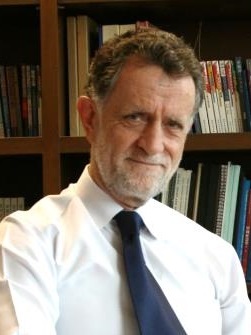 He formerly served as Head of the School of Social Sciences at La Trobe University and as Director of the International Centre of Excellence in Asia-Pacific Studies at the Australian National University. From 2008 to 2013 he was China Representative of The Ford Foundation in Beijing where he directed the Foundation’s China operations. He has served as Chair of the Education Committee of the Australia-China Council of the Australian Department of Foreign Affairs and Trade, Co-Chair of the Committee for National and International Cooperation of the Australian Research Council, and President of the Chinese Studies Association of Australia. 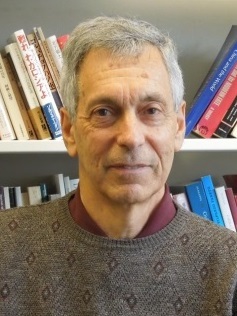 His research focus on the history of nationalism, philanthropy and public administration in China, and on Chinese communities in Australia. His books include Big White Lie: Chinese Australians in White Australia (UNSW 2007), awarded the Ernest Scott Prize of the Australian Historical Association in 2008, and Awakening China (Stanford 1997), awarded the Joseph Levenson Prize of the US Association for Asian Studies. He has a Ph.D. from ANU and held a Fulbright postdoctoral fellowship at the University of Wisconsin-Madison. He is a graduate of the University of Sydney. He is currently researching China’s influence operations in Australia. Peter Mattis is a Fellow in the China Program at The Jamestown Foundation and a contributing editor at War on the Rocks. He previously edited the foundation’s China Brief, a biweekly electronic journal on greater China, from 2011 to 2013. 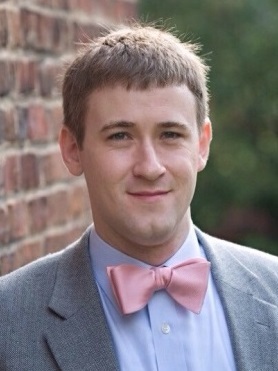 Prior to joining Jamestown, he worked as an intelligence analyst for the US Government and as a research associate at the National Bureau of Asian Research. Mr. Mattis’ writing on China has appeared in China Brief, The National Interest, Taipei Times, the East-West Center’s Asia-Pacific Bulletin, The Diplomat, War on the Rocks, the Asia Society’s ChinaFile, the International Journal of Intelligence and Counterintelligence, Studies in Intelligence, and the Washington Journal of Modern China. His views on China’s intelligence services and influence operations have been cited widely in the media, including Defense News, Christian Science Monitor, Financial Times, Wall Street Journal, Sydney Morning Herald, ABC [Australia], BBC, and National Public Radio. Mr. Mattis received his M.A. in Security Studies from Georgetown University’s School of Foreign Service and earned B.A. degrees in Political Science and Asian Studies from the University of Washington in Seattle. He is the author of Analyzing the Chinese Military: A Review Essay and Resource Guide on the People’s Liberation Army (2015) and co-author of forthcoming reference guide on Chinese intelligence. Laura Rosenberger is the director of the Alliance for Securing Democracy and a senior fellow at The German Marshall Fund of the United States (GMF). Before she joined GMF, she was foreign policy advisor for Hillary for America, where she coordinated development of the campaign’s national security policies, messaging, and strategy. Prior to that, she served in a range of positions at the State Department and the White House’s National Security Council (NSC). As chief of staff to Deputy Secretary of State Tony Blinken and as later, then-Deputy National Security Advisor Blinken’s senior advisor, she counseled on the full range of national security policy. In her role at the NSC, she also managed the interagency Deputies Committee, the US government’s senior-level interagency decision-making forum on our country’s most pressing national security issues. Laura also has extensive background in the Asia-Pacific region, particularly Northeast Asia. She served as NSC director for China and Korea, managing and coordinating US policy on China and the Korean Peninsula, and in a variety of positions focused on the Asia-Pacific region at the Department of State, including managing US–China relations and addressing North Korea’s nuclear programs. She also served as special assistant to Under Secretary of State for Political Affairs Bill Burns, advising him on Asia-Pacific affairs and on nonproliferation and arms control issues. Laura first joined the State Department as a presidential management fellow.